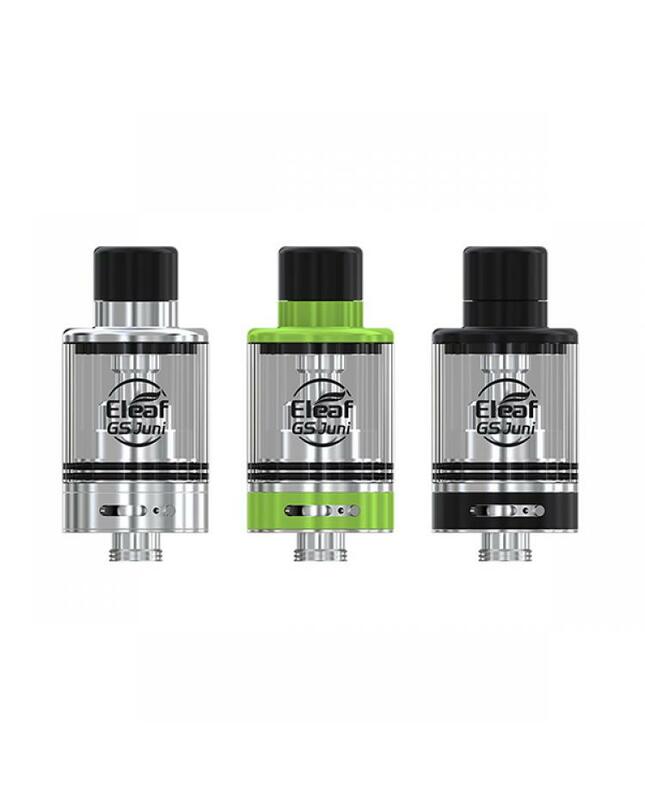 Eleaf GS juni mini sub ohm tank, made of high-quality stainless steel and pyrex glass material, three fashionable colors available, can hold 2ml e juice, comes with 0.75ohm and 1.5ohm GS air sub ohm coil heads, which specially designed to deliver the purest flavor. all parts of GS juni tank can be detached and reassembled, convenient to clean. 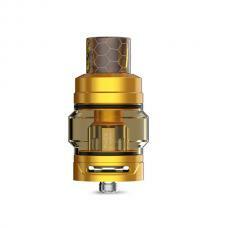 the new eleaf mini sub ohm tank with much more sophisticated airflow system, vapers can twist the airflow control ring to get optimal airflow.vapers can unscrew the base simply to inject e juice through the two side slots, the child lock is adapted for protecting children away from e juice. 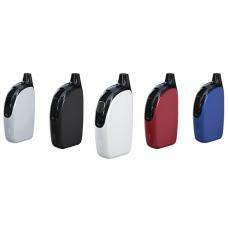 recommend works with istick kiya vape mod.